4" (10 CM) COAXIAL 2 - WAY SPEAKER The New S-series with sleek and compac..
Big bass boost from a compact woofer enclosureThe BassPro SL powered woofer fits.. Audio SpecificationsFrequency Response: 75Hz – 20kHzSensitivity: 90dBPower Handl..
General SpecificationsSize: 4"Type: Three-Way CoaxialAudio SpecificationsPower H..
GeneralSize : 10 cm Frequency Response : 45 Hz to 18 KHz Impedance : 4Ω Max ou..
GeneralSize : 10 cm Frequency Response : 35 Hz to 27 KHz Impedance : 4Ω Max ou..
Sony Xplod XS-FB1030 4" (10cm) 3-way Coaxial Car speakers 30W CEA RMS .. 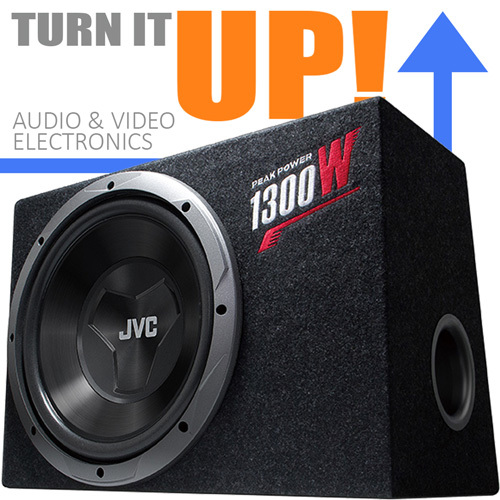 Blast out your favorite driving songs with the XS-GTF1039 3-way speake..
SOUNDSTREAM RX.402 4" 2 Way Coaxial Car Speakers 25W RMS ..